Despite many complaints, Sri Lanka’s theatre drags on somehow. The walls of the cities as well as the suburbs are noted for the ubiquitous poster-presence of newly arrived stage productions. Most productions are richly generated Sinhalese colloquial titles very much scoffed at by the sophisticated crowd. English theatre productions are not a common element in rural areas. Tamil productions are quite unheard of. Aslam Marikar is among the minority of dramatists who choose their medium in English and reach out to the capital’s limited edition crowd. Over the past four years, Marikar has written and produced three full length productions. 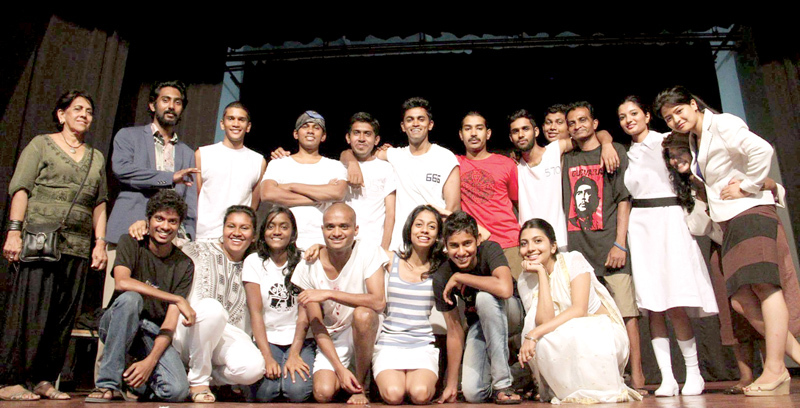 One of them was a first original English full length play performed in Galle. Marikar’s stage production, ‘The 21st Century Monk’, features a character that has distanced her/himself from the material world. The monk is an allusion to anyone in the society, well including an ascetic. The recent influx of Sri Lankan stage productions seem inclined to the comedy more than any other genre. “Sri Lankan theatre seems more interested in imitating, copying, translating and finding more sophisticated ways of copying art than actually doing it. I am referring to the majority of individuals that we today in Sri Lanka identify as professional artistes,” Marikar comments. As Vihanga Perera notes, Marikar’s fusion of a variety of humours – from classical Old variety of humours – from classical Old Comedy to contemporary Dark Humour forms – was a refreshing blend, with textual and situational comedy aligned along slapstick, farce and burlesque. Perera also claims that the play was an experiment and credits the statement to a third party source. “The 21st Century Monk is not an experiment. At least I tried my best not make it appear. 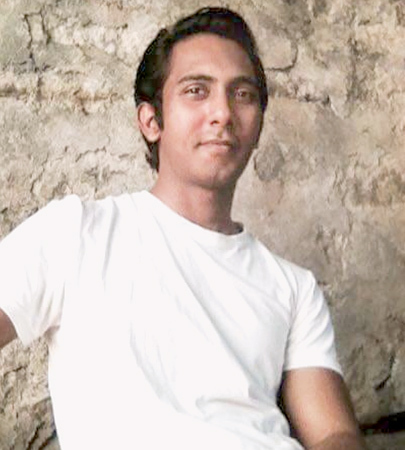 It was a story narrated within Sri Lankan tradition,” Marikar responds. Experiment or not, does English theatre have a ground in Sri Lanka to grow as an independent art? “If theatre in English is to thrive we must put our money where our mouth is. English Theatre is financed with aid or blatantly imitation. Some go to the extent of copying skits from the internet and then readjusting it to appear different but have no cultural relevance,” Marikar notes. Although English is a necessity, Marikar remarks that the language can pass off as a threat to our culture. English has its own evolutionary process within the country though it requires financial stability coupled with intellect. But it is a slow process. As a result, the theatre productions, approved by foreign aid and foreign organisations, have a crippling effect of the profession. Aslam Marikar was the first to initiate theatre professionally within the city of Kandy. His path was not without challenges. Although he had to deal with novice performers at the outset, most of them have become professionals now. Most of his actors have performed in other productions now and gathered experience in the industry. “They have acquired the qualities of professional acting. We have performed over 20 times in Kandy, Colombo, Galle and Bangalore, India. Most of my cast is from the university. We also have doctors, teachers and others from the corporate sector in Kandy,” Marikar explains. While fully attached to Trinity College, Marikar has offered his theatre expertise to many schools in Kandy. Some of his students have found fascination in the profession. 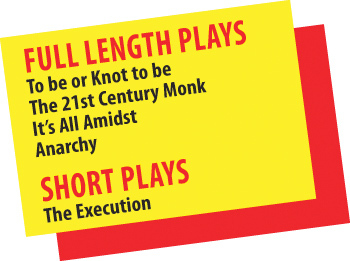 And now, Marikar’s hands are busy with his newest play, ‘To Be or Knot To Be’. He calls it a comedy about marriage and Sri Lankans’ expectations about the union. The full length play will go on boards in January. When you reach for theatre, especially the English, without such props, it is a challenge as well as a risk. For Marikar, the risk matters. In fact, he toys with it. When you take risks with your pen, he adds, it brings the best in you.